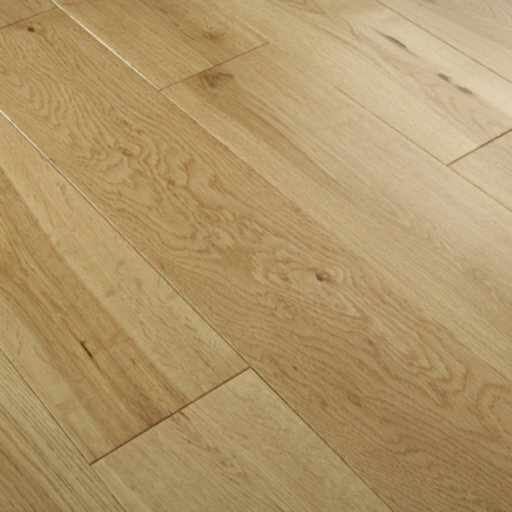 Tradition Engineered Oak Flooring, 220x6x20 mm is a hard-wearing rusic grade flooring, sealed in oil finish, providing quality and comfort. The natural oil surface treatment emphasizes the natural look, texture and grain of the wood. Floors treated with nature oil are easy to maintain, but they need a little more care and should be treated regularly with oil maintenance products. Layers for your Tradition Flooring for only £00.00 excl. Vat, based on the Packs specified above. Offer is excluding of Underlay and mouldings and other services. Unfinished products will require additional sealing & finishing service, not included in this quote. Our Final fitting Quotes come with Extended Service Guarantee and are subject to an Free site visit (currently London areas only). Smaller sized areas (below 15 sqm) will be subject to a minimum charge. For Supply & Fit service Call our Service Department on 020 88309782.